Chair circled with structure in handcrafted black finish veneer mahogany wood. 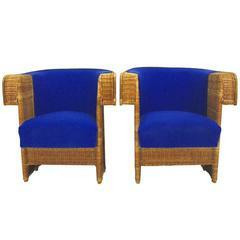 With high quality blue fabric. Also available with others fabrics on request. Also available with others fabrics on request. Chair Circled with structure in handcrafted veener mahogany wood. With high quality satin cream fabric. Also available with others fabrics on request. 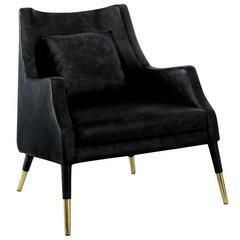 Armchair black lounge is made of particular fabric and feet in polished brass. Ideal for lounge clubs. Sofa nicely tall with structure in handcrafted veener mahogany wood. With high quality satin cream fabric. Also available with others fabrics on request. Elegant armchair with white and blue velvet, foliage and flowers, black wooden feet, combining quality, robustness and class. Comfy and in excellent condition (new items, never used).